Shia Muslims Photos | Want Best Quality Shia Muslim (Shiites) Photo? Want Best Quality Shia Muslim (Shiites) Photo? Imam Khomeini , Imam Khamenei, Makarem Shirazi, , Javadi Amoli, Sobhani, Allame Mohsen Amin and …. they banned use cutlass in rituals. Blood, War and… is not the real face of Shia Muslim! This entry was posted in Uncategorized on August 23, 2015 by Ali Sajjad Fatemi. Research about the reality of Shia Muslim! 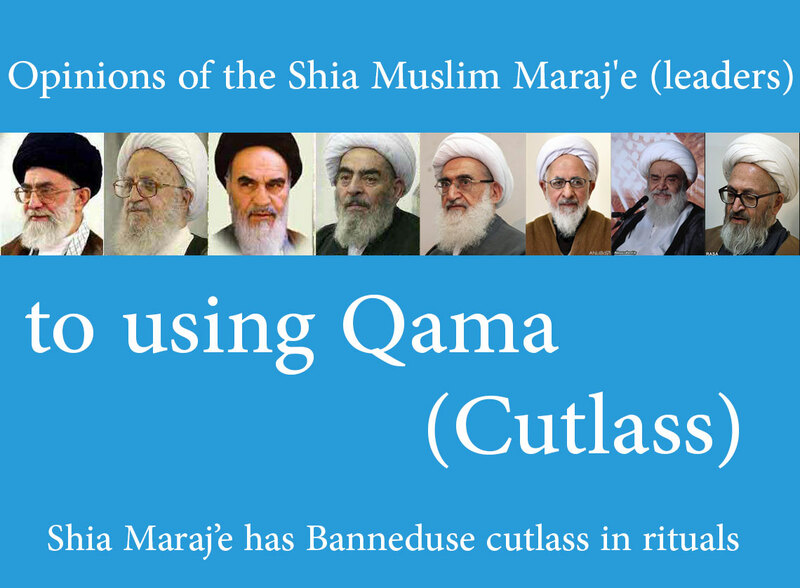 has banned these bad Works (use cutlass in rituals)!!! Islam and Shia Muslims are kindly people not WILD. Please do your research about the reality of Islam Shia. This entry was posted in Uncategorized and tagged real shia muslim on August 21, 2015 by Ali Sajjad Fatemi. a Big Hello to The truth people of world! I want to share some Shia Muslim Photo to this blog to share real face of Islam to world. This entry was posted in Uncategorized on August 21, 2015 by Ali Sajjad Fatemi.